No, you didn’t read that incorrectly. 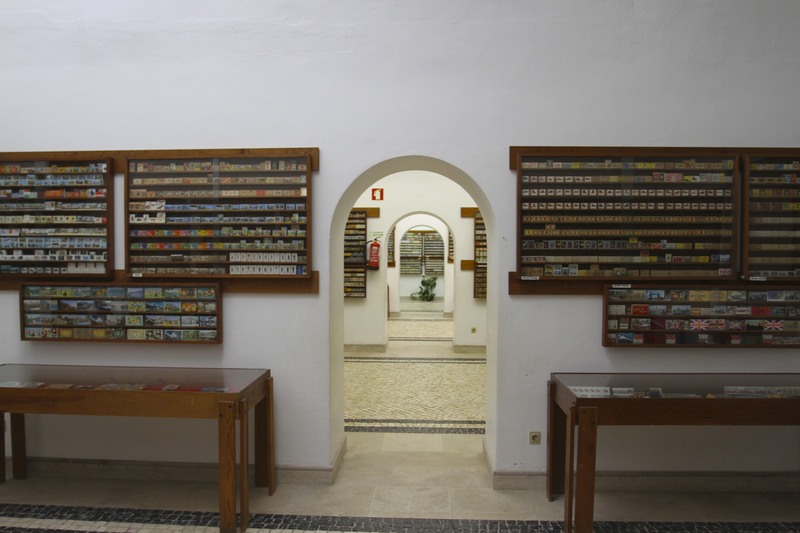 Tomar, in central Portugal, is home not just to a museum full of matchboxes, the Museu dos Fosforos, but what must count as one of the most extraordinary collections of all things match anywhere on the planet. 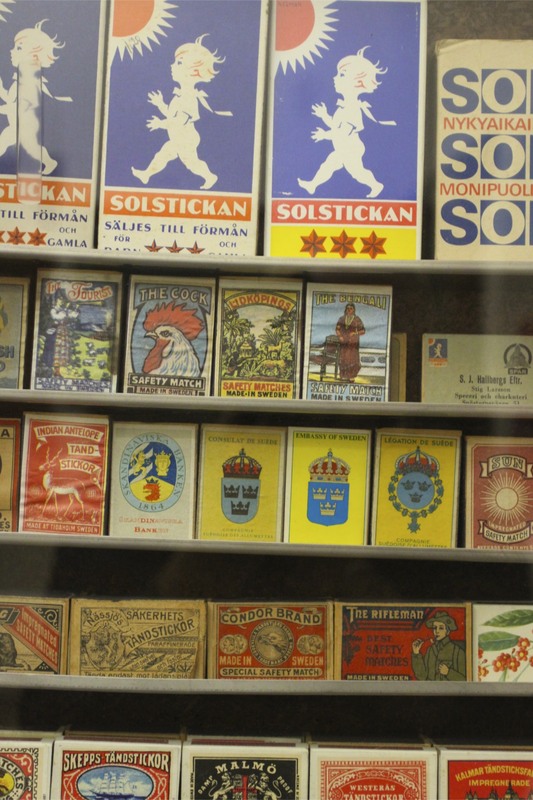 I’d never thought of them in this light before (or at all before), but matchboxes are attractive things and a vast collection of over 43,000 of them has a remarkable visual effect. 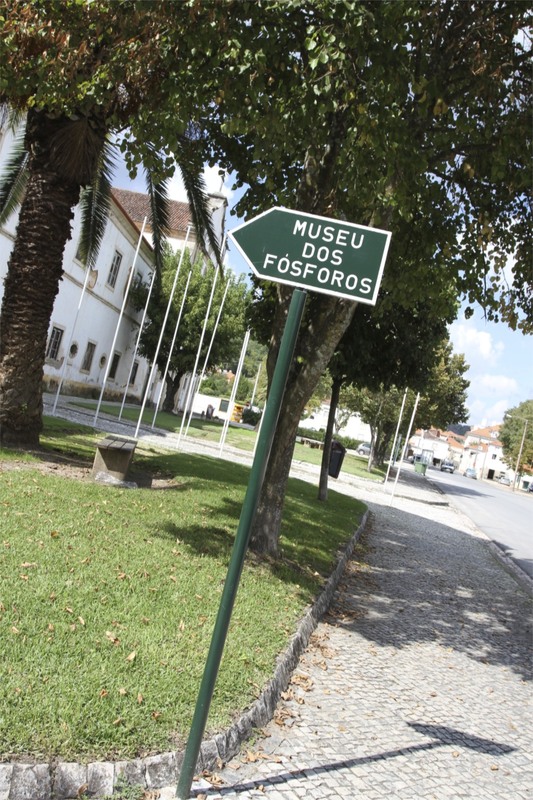 People come to Tomar to visit the Convento de Cristo, the heavily fortified former headquarters of the Knights Templar, but if you’re in Tomar I’d strongly suggest a visit to the Museu dos Fosforos. When we first arrived at the museum it was closed; because the weather was so hot and humid we almost decided to skip visiting and head out of town. I’m glad we didn’t, it was a brilliant and very human experience…and it’s free. Even the Templars can’t top that. 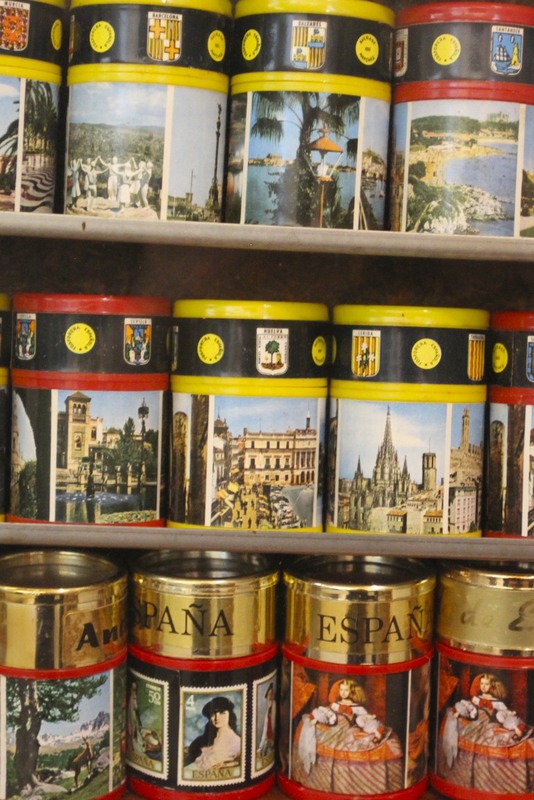 It’s a magnificent collection, bringing together matchboxes from just about every country on the planet – including several that no longer exist. It’s absurd and fascinating in equal measure. Part social history, part full-on kitsch, this is a monument to obsessive, ridiculous human nature and the determination of one man to leave something behind in the world. The late Aquiles Da Mota Lima is that man. His achievement, the stuff of legend (at least in my household). If my years on this planet have taught me anything, it is that without men and women like Aquiles the world would be a far less interesting and liveable place. 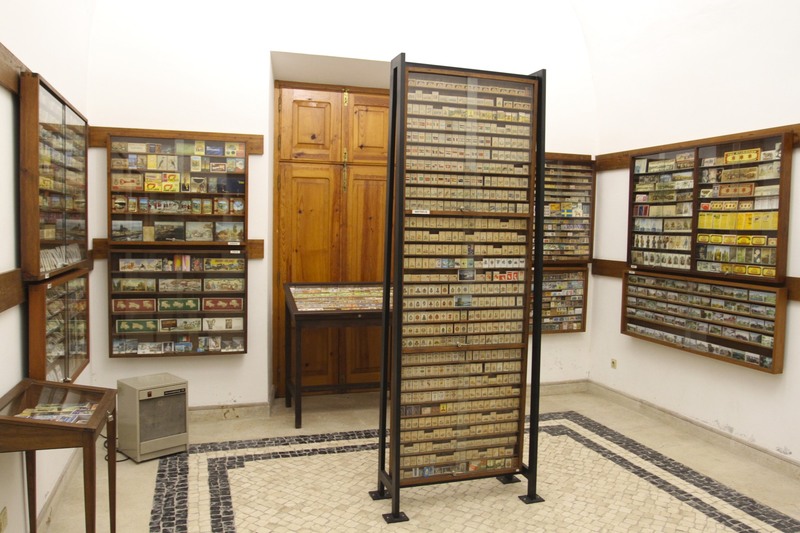 The museum houses more than 43,000 match boxes from 127 countries and dating from the 1820s. 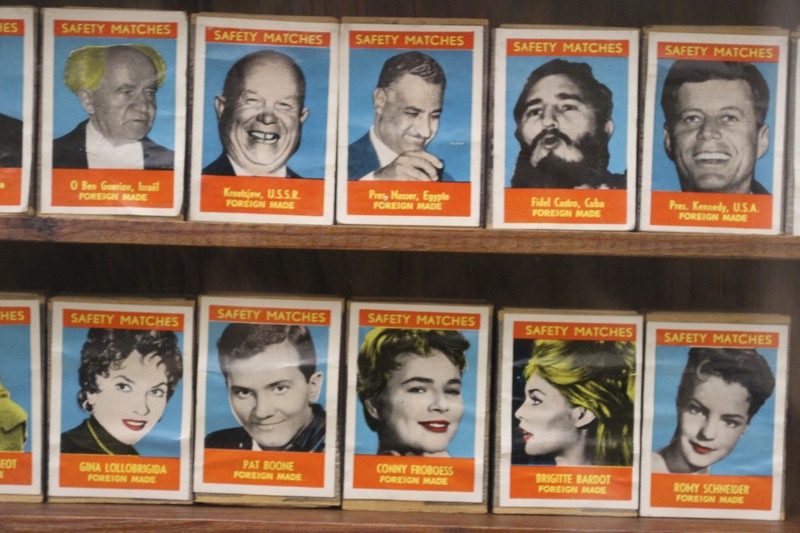 It is estimated that there are approximately 2 million matches inside the museum, which must make their annual discussion with the fire insurance people pretty interesting. 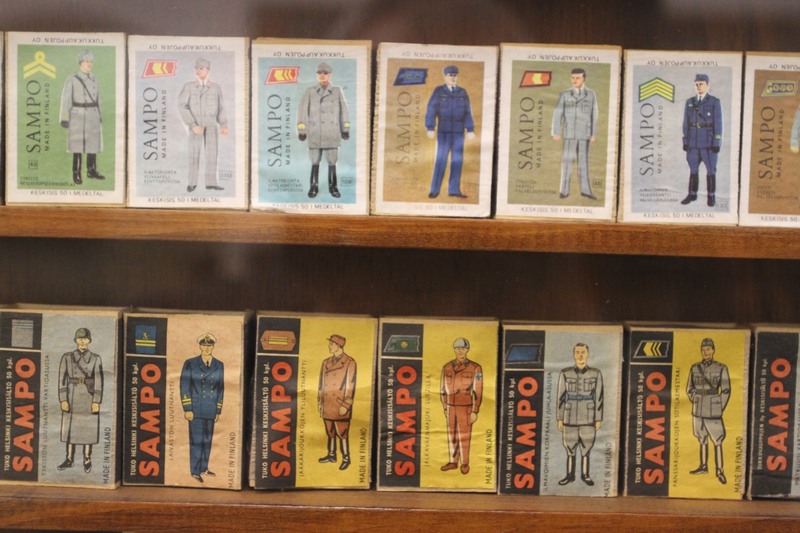 As we were the only people there, the museum attendant gave us a wonderful potted history of the museum and its patron. 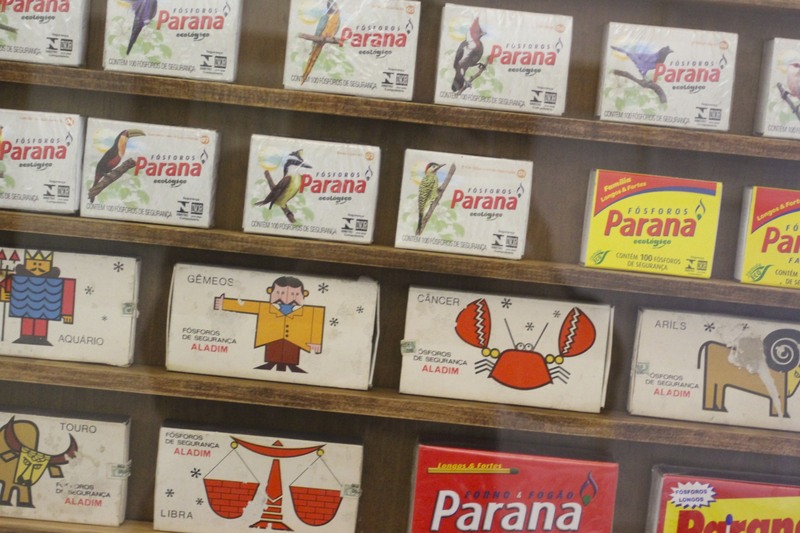 It all started in 1953 while Lima was traveling to England to attend the coronation of Queen Elizabeth II. 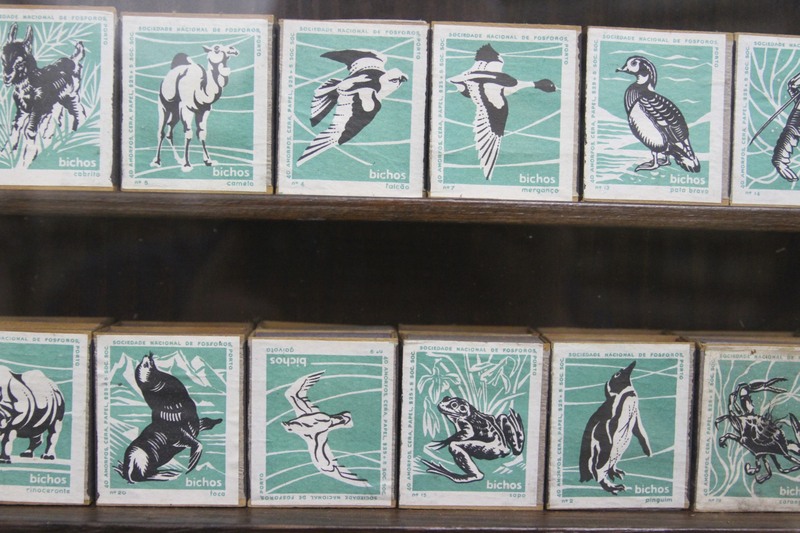 On the boat over an American woman who collected matchboxes asked him to send her some from the coronation. 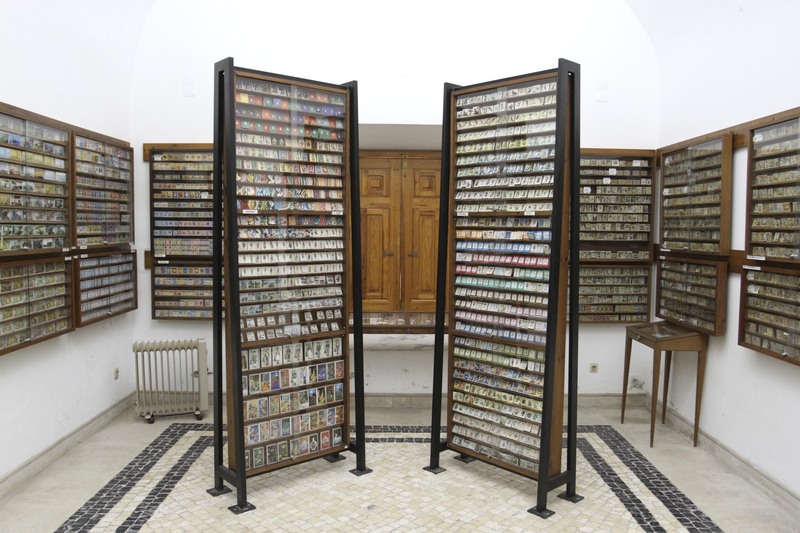 This he did, but Lima also kept some for himself, marking the start of a life-long fascination with collecting matchboxes. 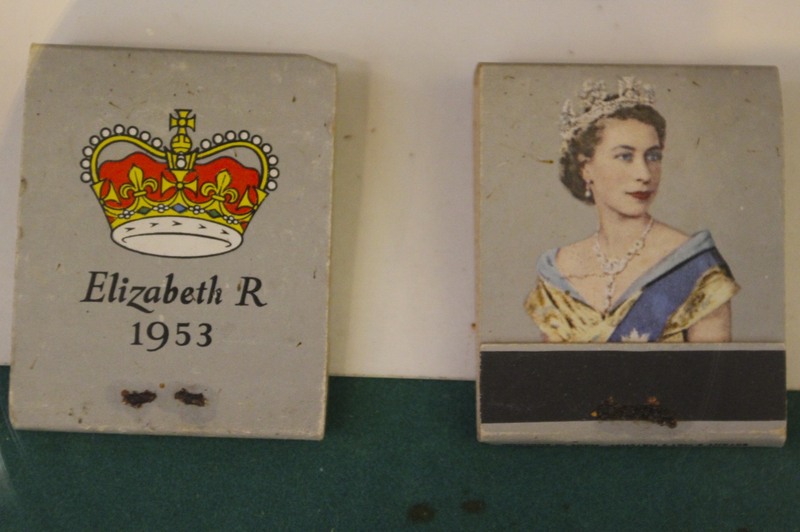 His first ever matchbox, decorated with the head of Elizabeth II, has pride of place in the museum. 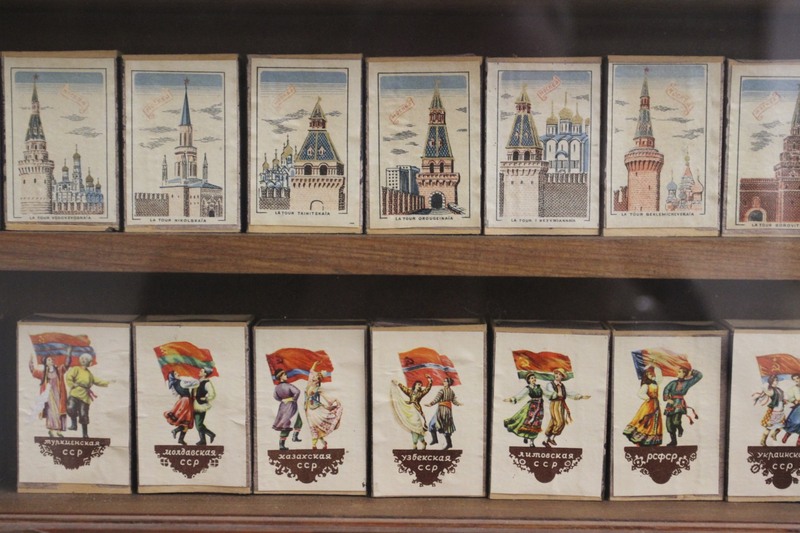 The rest is filled with matchboxes depicting just about everything and anything: flags, traditional dances, star signs, sports, animals, science, famous art and artists, film stars, politicians, cars and fairytales to name just a few. 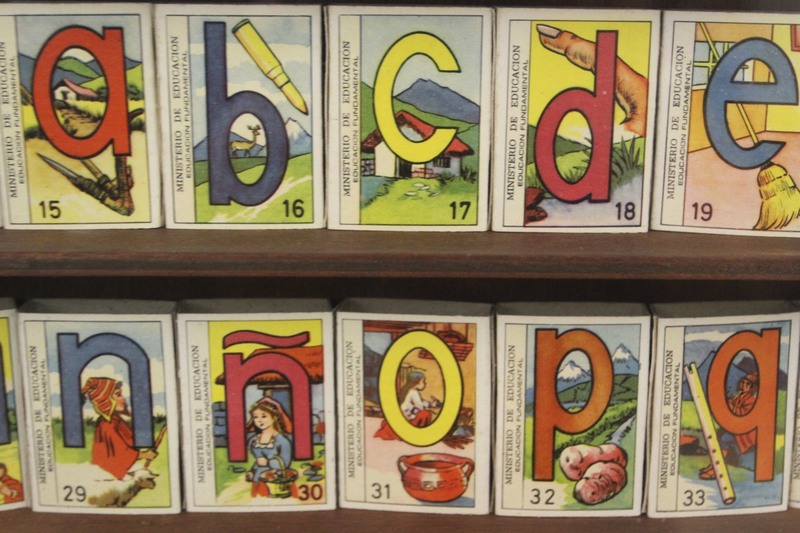 There are several matchbox collections featuring the alphabet. 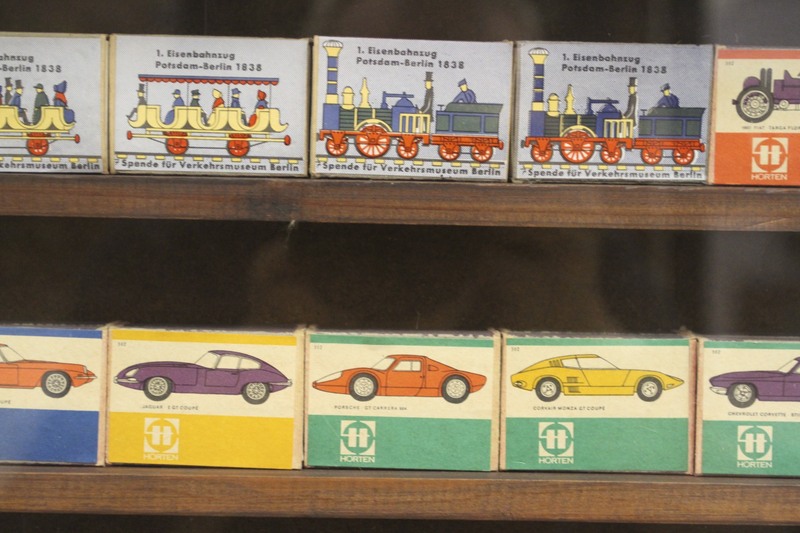 I’m all for learning but did people really think giving children matchboxes was a good idea? 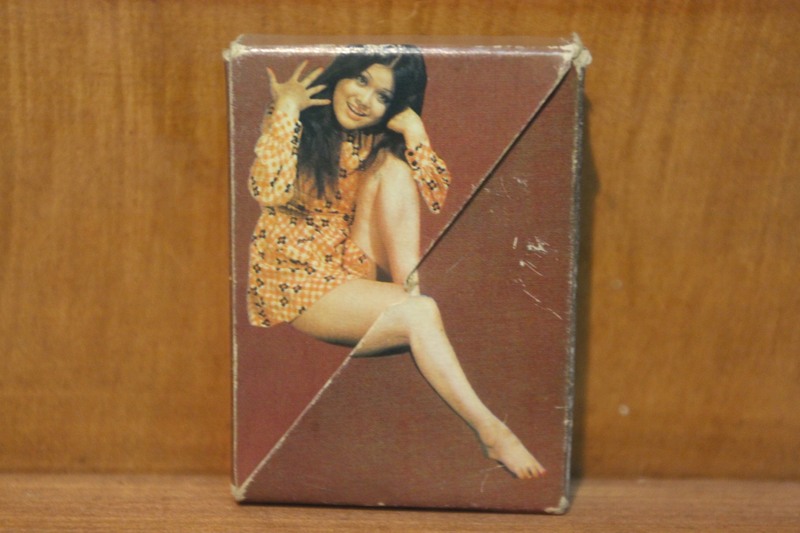 There is a large subset of matchboxes that would probably best be described as erotica. 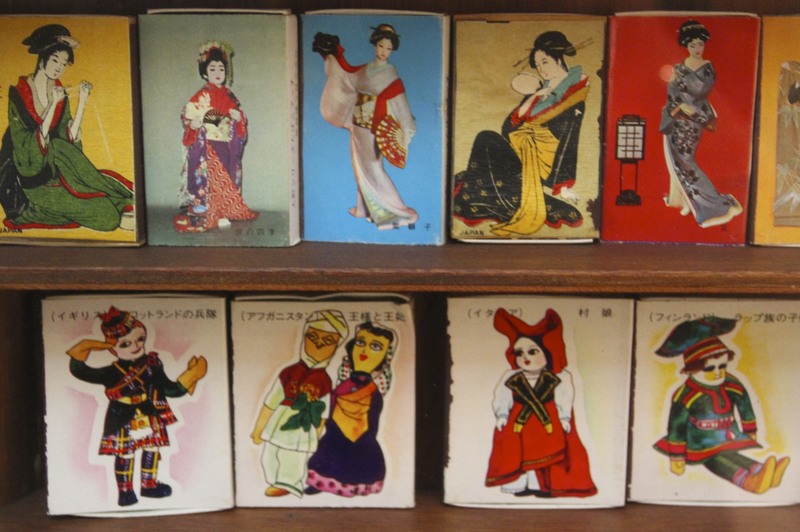 If this was just from one country I wouldn’t have given it a second thought, but matchbox erotica is widespread. 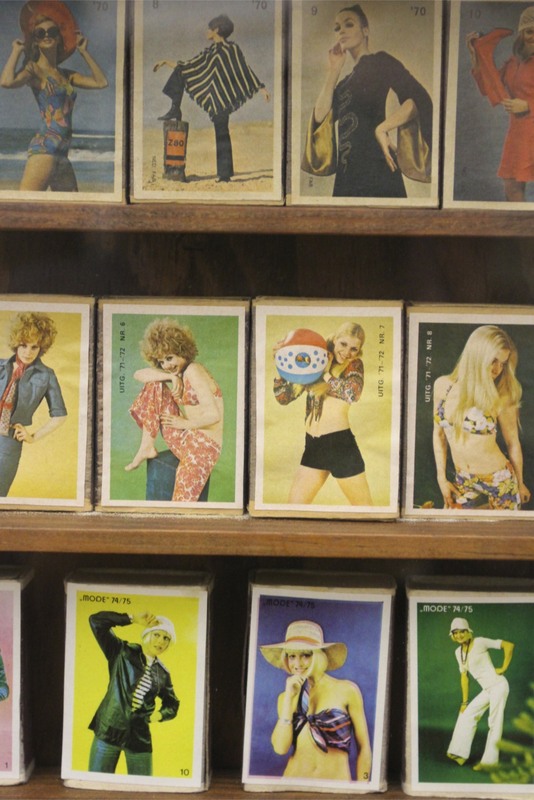 The museum houses examples from Europe, North America, Latin America, Japan and China amongst others…and yes, they do all feature semi-naked women. 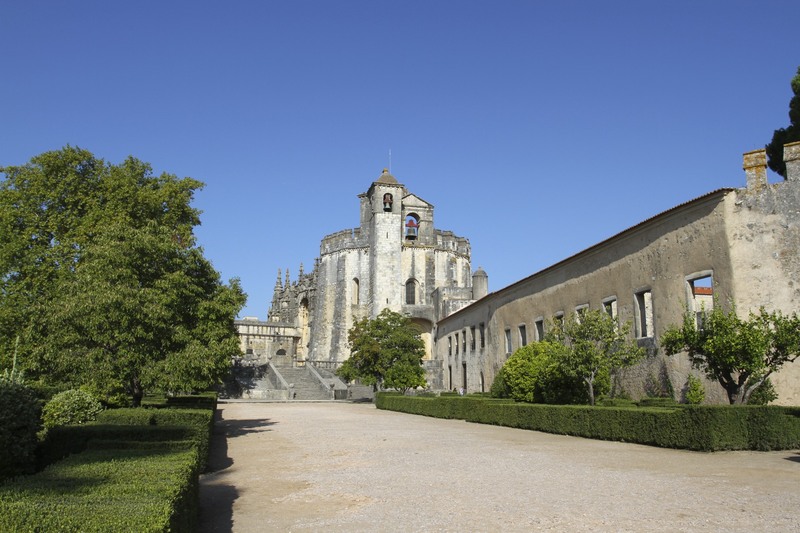 The Convento de Cristo, the fortified headquarters of the Knights Templar in Portugal, might be the main reason for a visit to the lovely town of Tomar, but wandering the historic streets is endlessly rewarding. 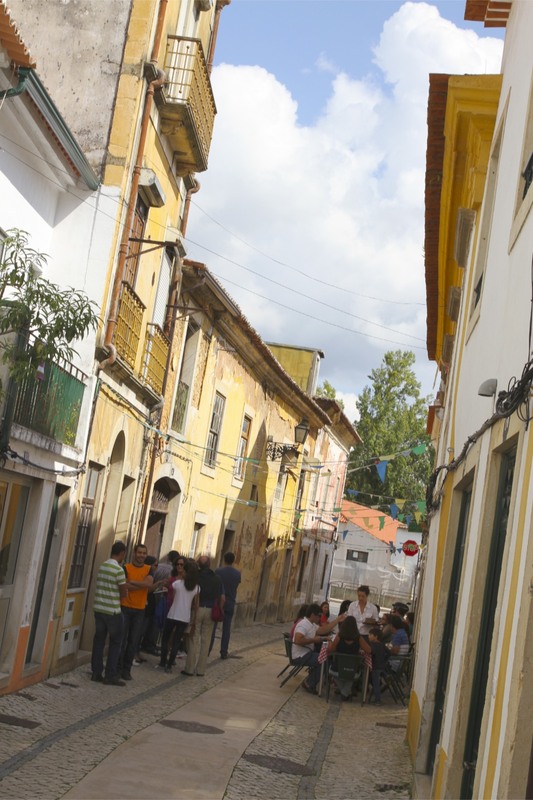 The narrow lanes and old buildings offer a glimpse into Portugal past and present, small outdoor cafes and restaurants serve up delicious food and (on a Sunday) families gather for church and a hearty lunch. 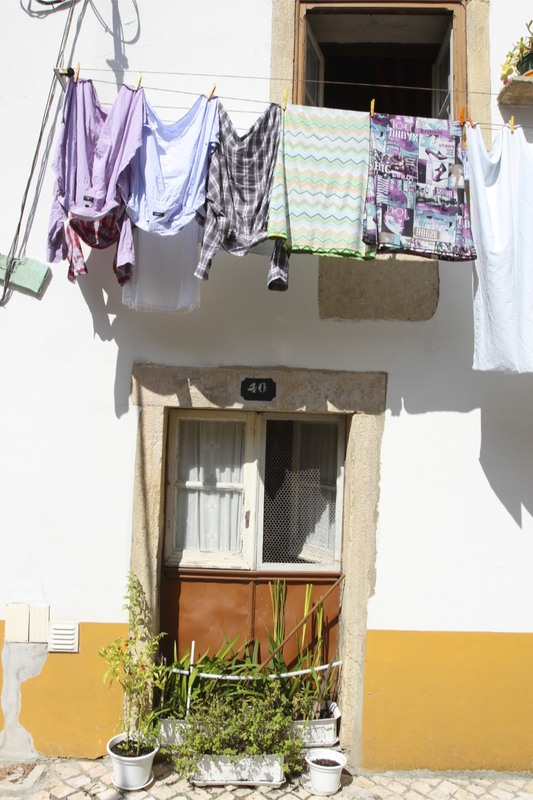 The faint hum of traditional Portugal can be heard everywhere. 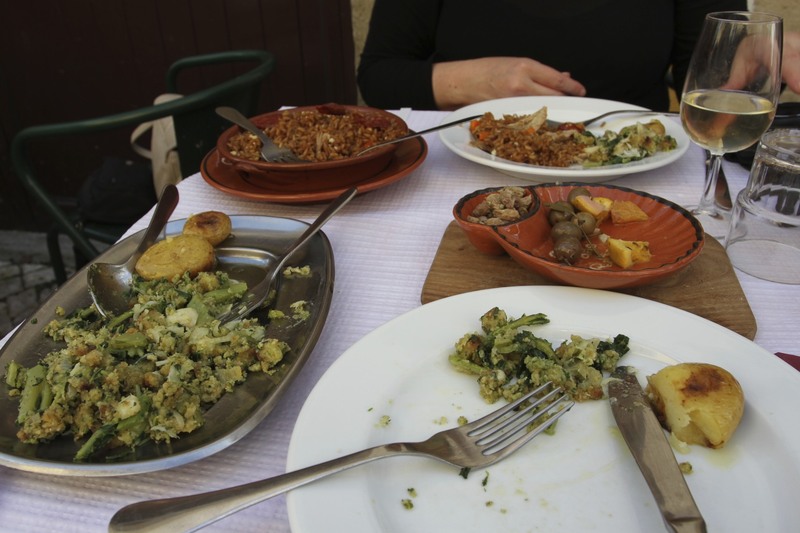 We stopped in a small cafe next to the river for a reviving coffee and pastel de nata before following our noses and finding ourselves in Tomar’s main plaza, the Praca da Republica. 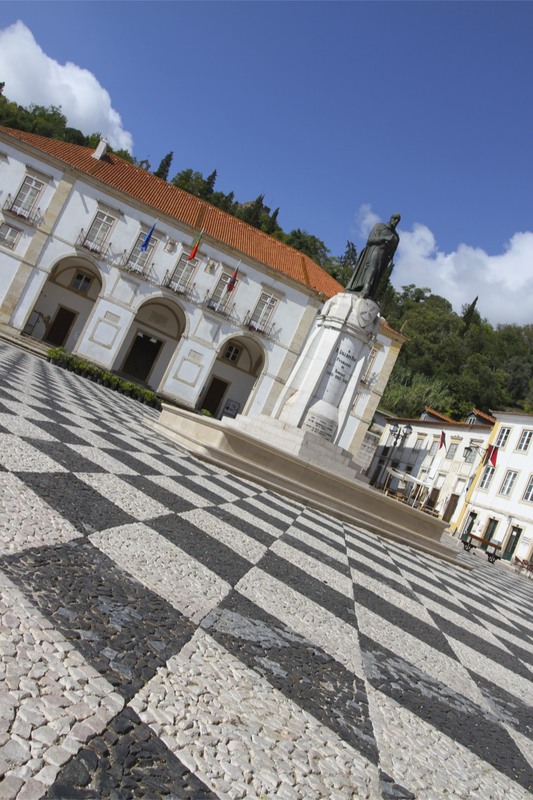 This relaxed square is home to the Church of São João Baptista and dominated by the statue of 12th Century Master of the Knights Templar, Gualdim de Pais. 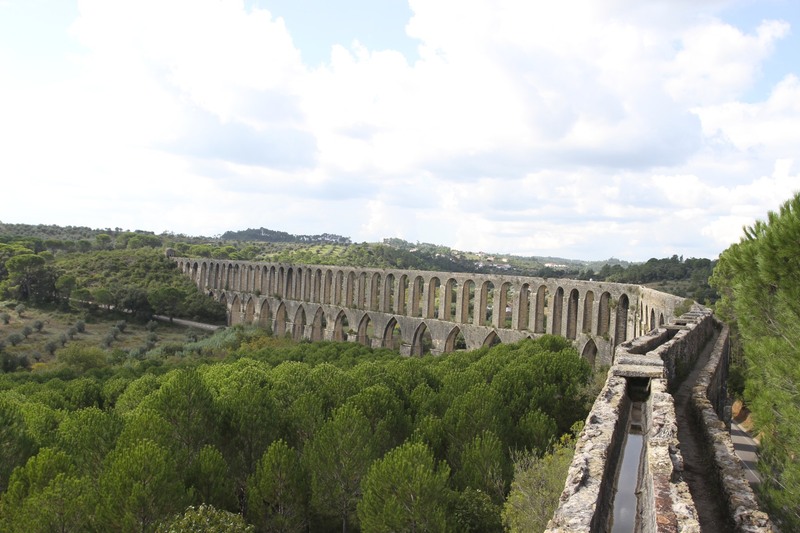 Gualdim de Pais was the architect of Tomar’s early history, following the defeat of Moorish forces in the region in the 1150s. 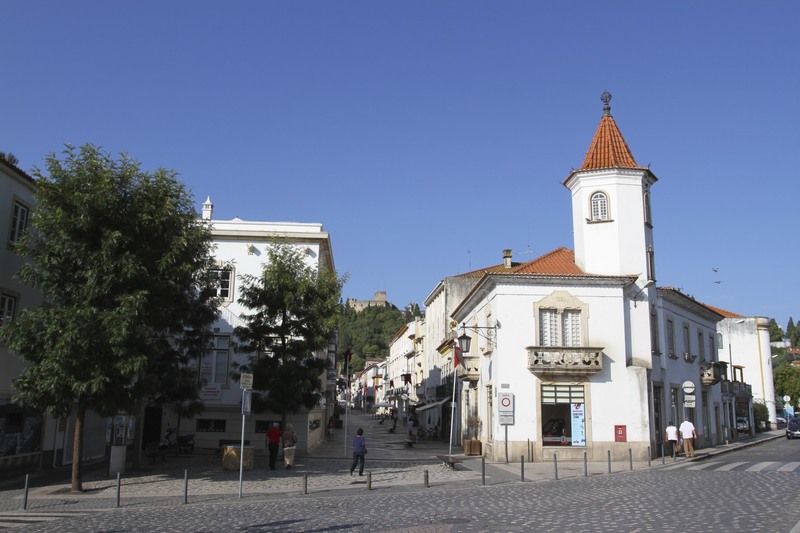 The town formed part of Portugal’s defences against the Moorish Caliphate which continued to control the south of Portugal and Spain. Although now considered a latter-day invention of convenience, the Reconquista, the seven-hundred-year-long demise of Islamic power on the Iberian Peninsular, must have felt pretty real when Tomar was defending itself from Moorish forces in 1190. 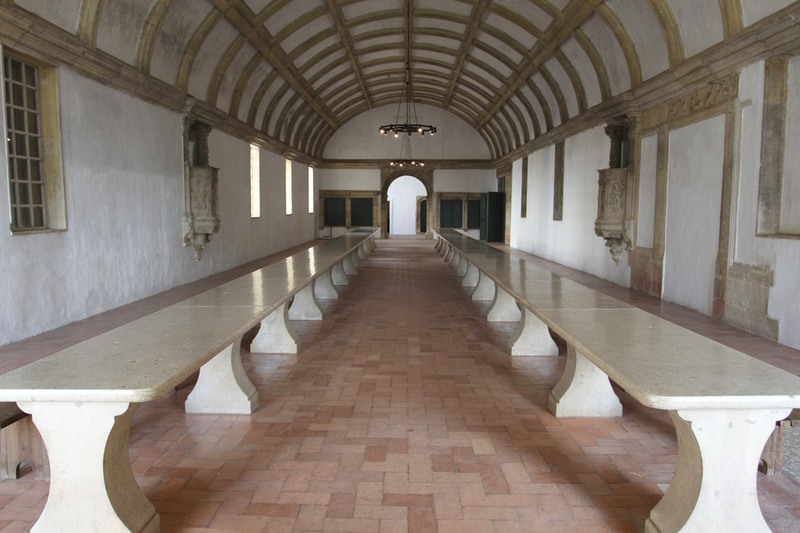 When the Knights Templar were disbanded Europe-wide in 1312, in Portugal it transformed into the Order of Christ and offered sanctuary to the Knights Templar from other countries. 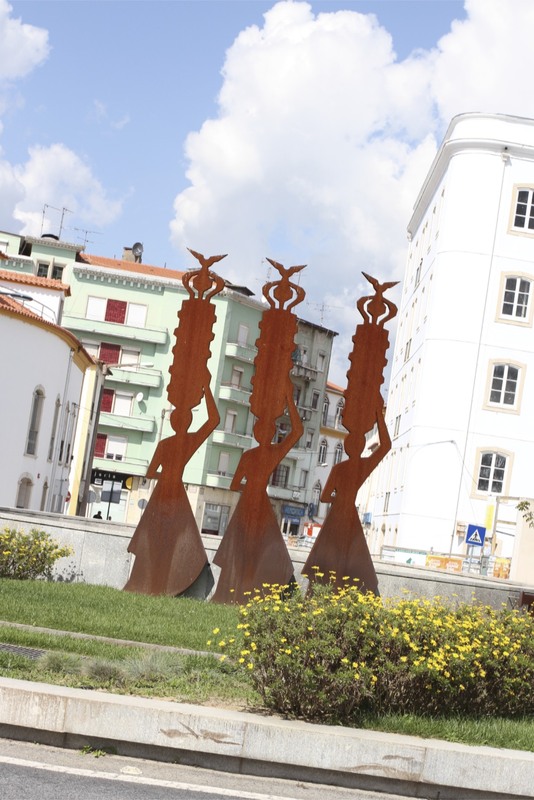 Under the rule of the Portuguese monarchy it became enormously powerful throughout the country. 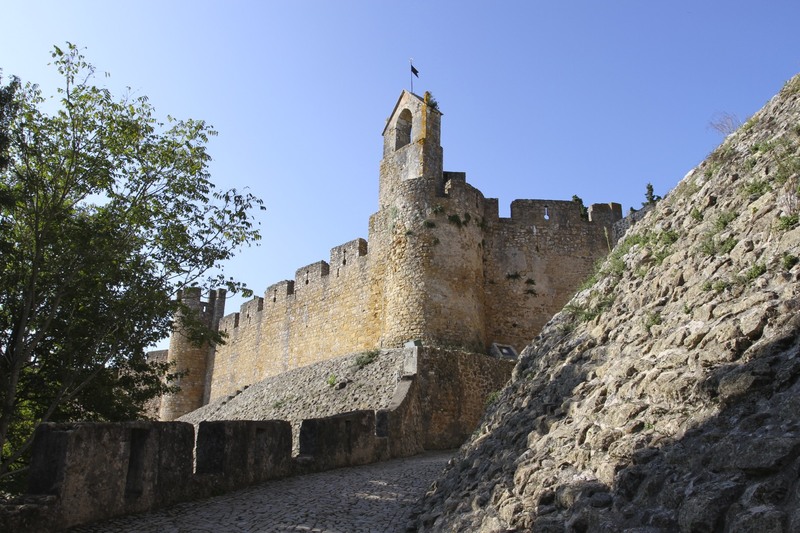 Tomar was their headquarters, and from here the former Templars planned and financed Portugal’s overseas expansion throughout the 15th and 16th Centuries. 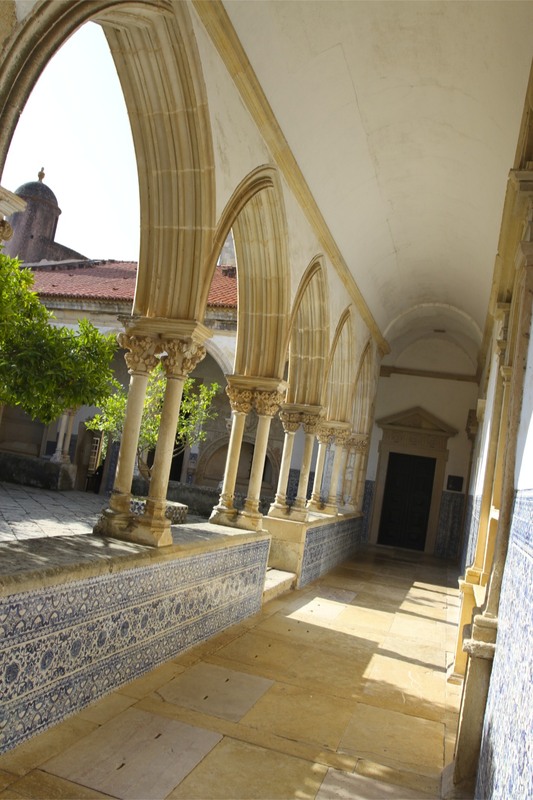 The Age of Discoveries, Portugal’s Golden Age, wouldn’t have been possible but for the vast Templar wealth held by the Order of Christ. Vasco de Gama, Christopher Columbus and Ferdinand Magellan were just some of the early maritime explorers to receive training and support from the Order. Portuguese ships sailed with the Templar red Cross of Christ emblazoned on their sails. 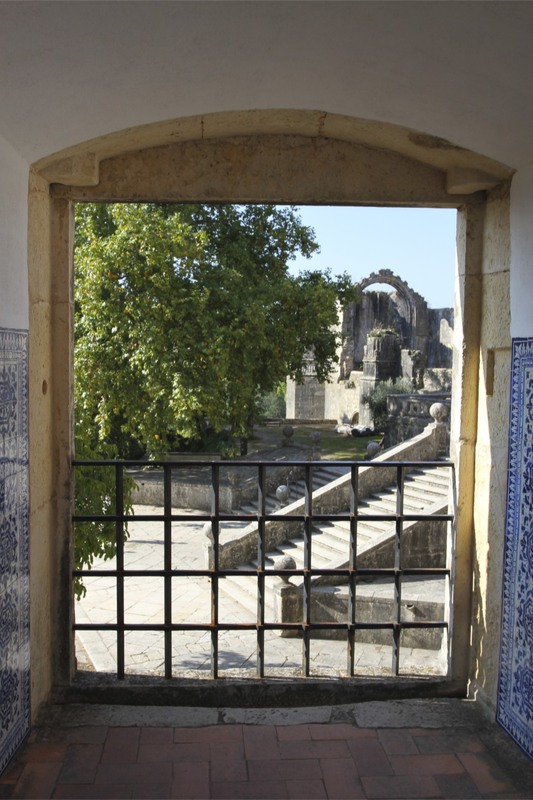 At this defining moment in Portugal’s history the Templars, and Tomar, were the country’s beating heart. 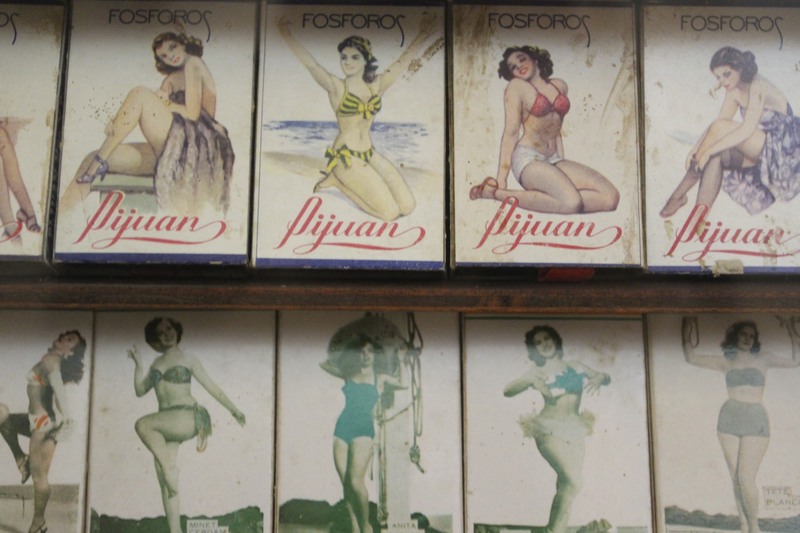 This rich history, however, has a more sinister side. The Reconquista was an unmitigated disaster for Jews across the Iberian Peninsular. 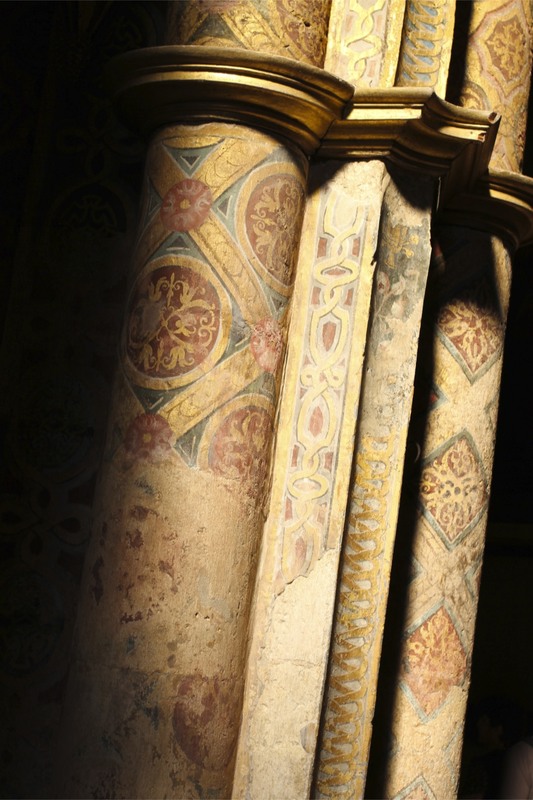 In our own turbulent times, it should be remembered that Jews (and Christians) enjoyed full rights under Islamic rule, allowing Jewish culture to flourish. Christian rule was far less tolerant. 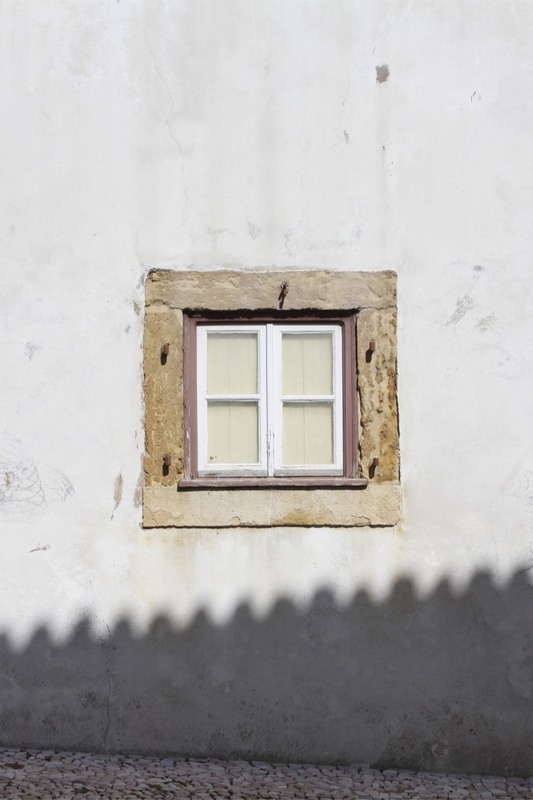 Tomar’s tiny synagogue is the best preserved medieval synagogue in Portugal. 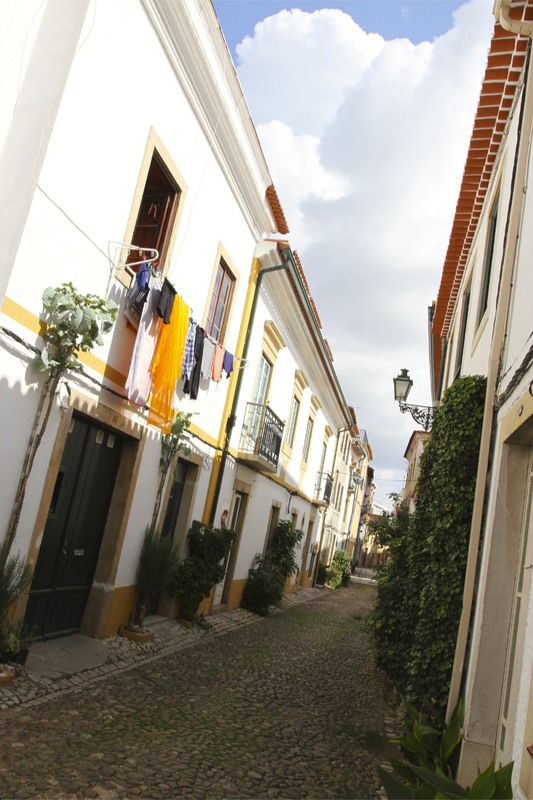 Tucked away down a narrow street it is an evocative place housing the Museo Luso-Hebraico Abraham Zacato – named after the Jewish mathematician and royal astrologer who assisted Vasco de Gama in planning his voyages to the New World. 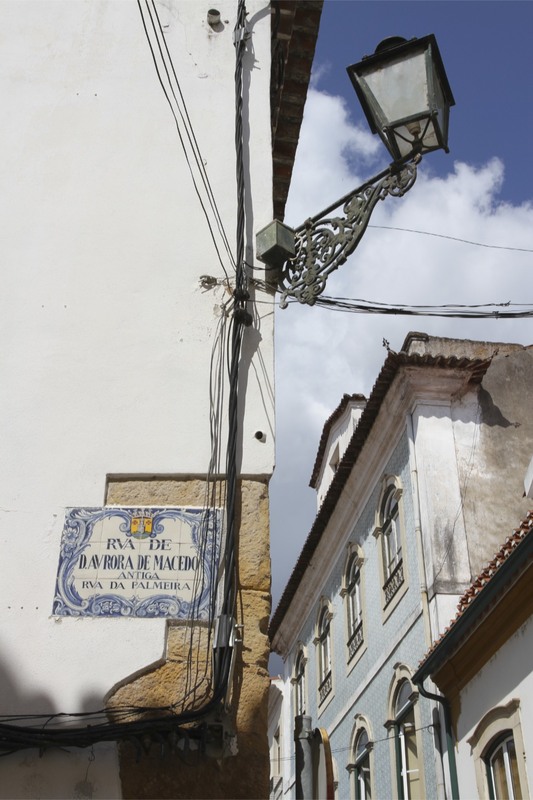 Zacato’s astronomical tables and astrolabe would help Portugal discover both India and Brazil. 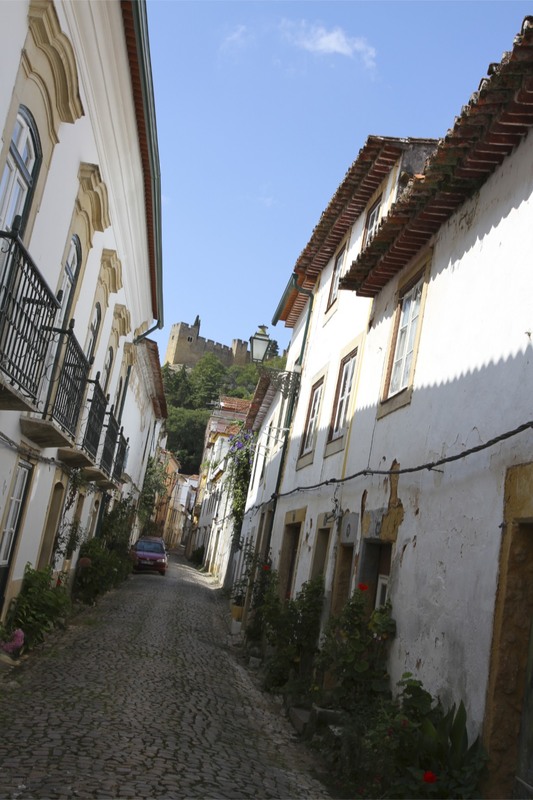 A man who fled the Jewish expulsions from Spain helped start Portugal’s Golden Age. In our own period of European history where immigration and asylum are under attack from retrograde and reactionary forces, this is something upon which to ponder. 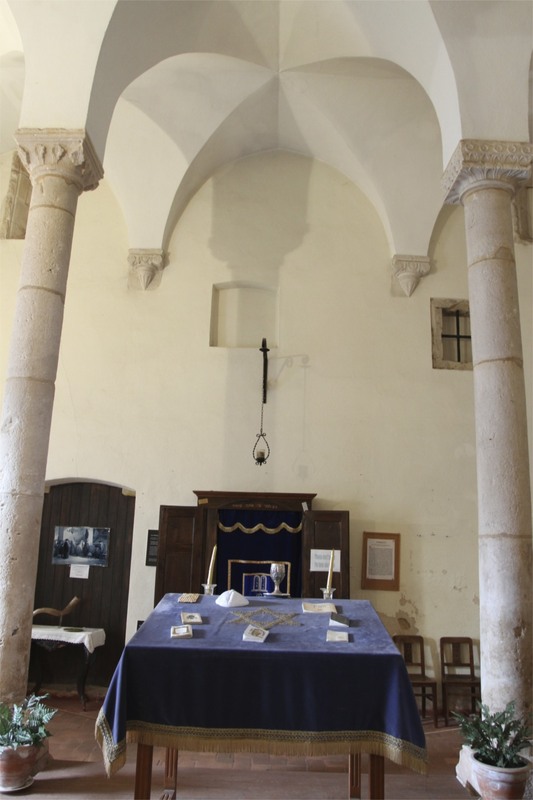 Built between 1430-60, the synagogue and Tomar’s Jewish community flourished for a few years following the 1492 expulsion of the Jews from Spain. 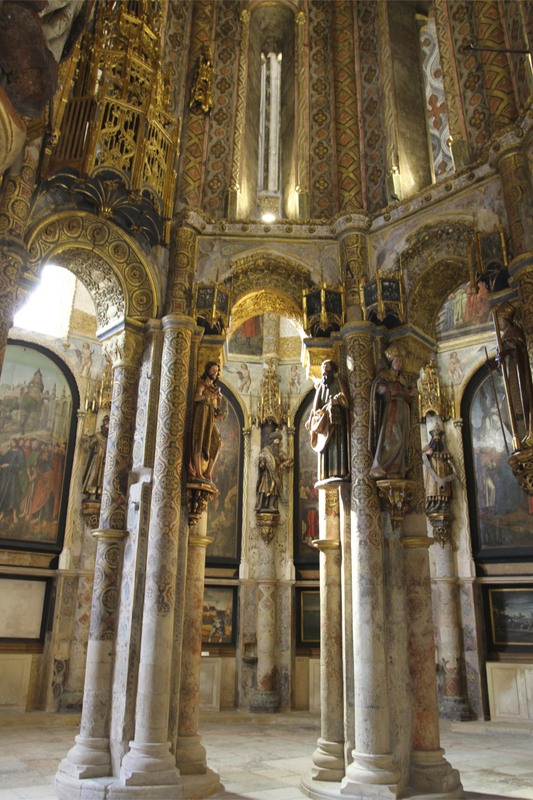 This cataclysmic event uprooted thousands of families who fled Spain upon pain of death as the Spanish Inquisition brought its full ferocity to bear against Jews and others. Many migrated to neighbouring Portugal where, recognising the economic value of the Jewish community, a more tolerant society awaited – at least for a time. 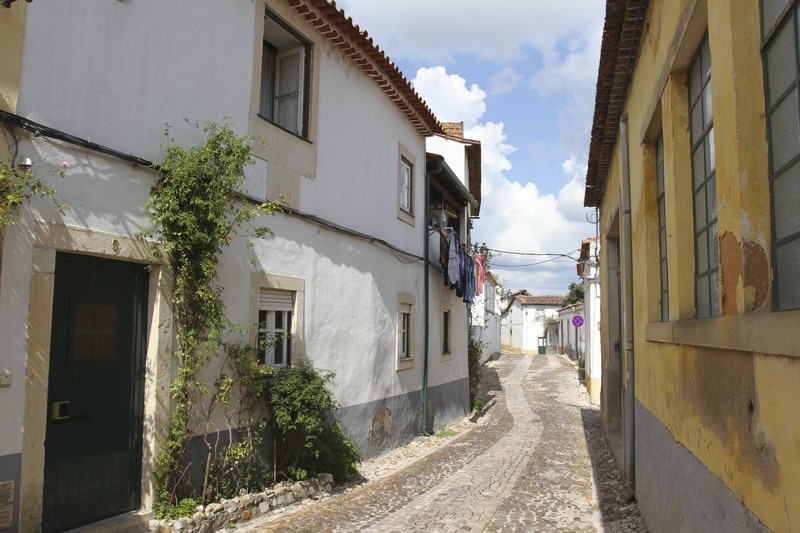 Jews who reestablished their lives in places like Tomar under the reign of King John II found little peace. In 1496, under pressure from the Catholic Church and the zealotry of the Spanish Monarchy, King Manuel I of Portugal issued a decree that all Jews must convert or leave the country without their children. Most Jews were forcibly converted to Christianity rather than allowed to leave, but the Chief Rabbi met a brutal death and there were forced deportations of Jews to Portuguese colonies. 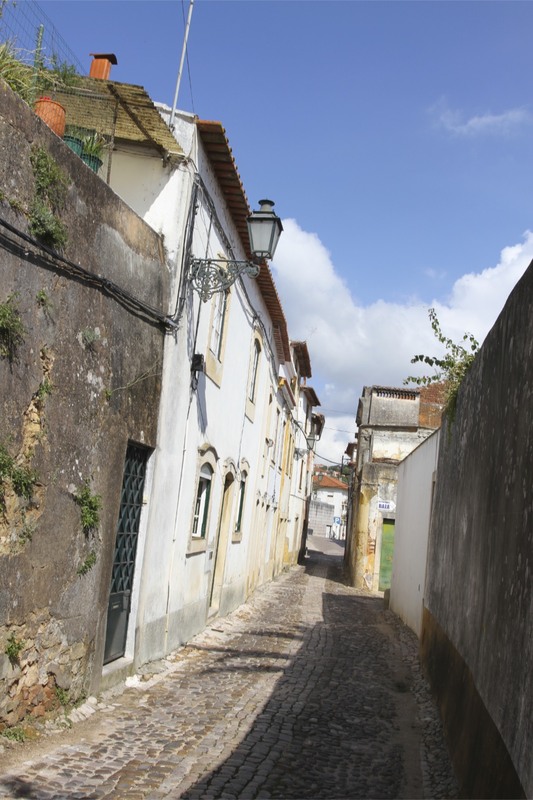 A few decades later a much more frenzied bout of religious persecution, organised by the Portuguese Inquisition, led to severe repression and violence against the Jews. Jewish properties and wealth were confiscated and given to the Inquisition itself. A basic land grab disguised as national interest and in Holy garb. According to one of Umberto Eco’s characters in Foucoult’s Pendulum, a lunatic can be recognised “by the fact that sooner or later he brings up the Templars…There are lunatics who don’t bring up the Templars, but those who do are the most insidious”. Judging by the results of Dan Brown’s The Da Vinci Code the world seems to have a surfeit of lunatics. If the spawning of numerous wild and bizarrely popular conspiracy theories about these medieval warrior-monks wasn’t started by Dan Brown; the massive (and frequently unhealthy) surge in interest about the Knights Templar in recent times is his responsibility. 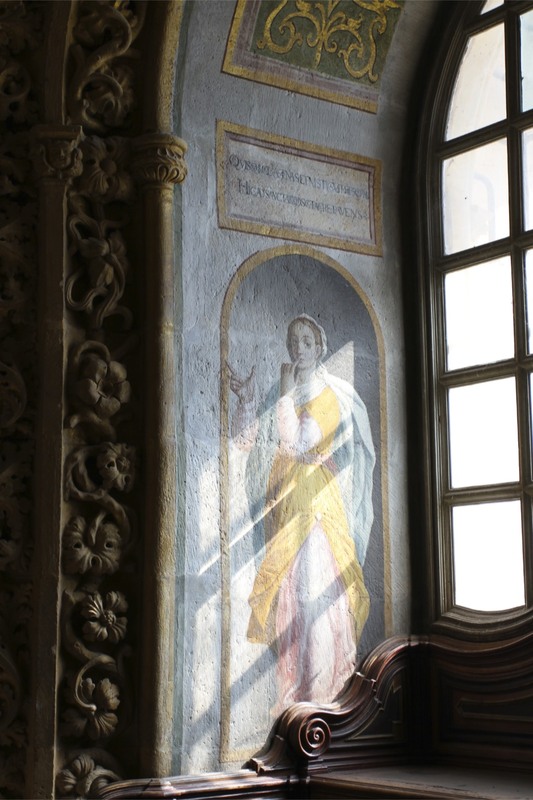 Conspiracy theories abound and the Templars have been given an aura of mystery out of all proportion to the reality. 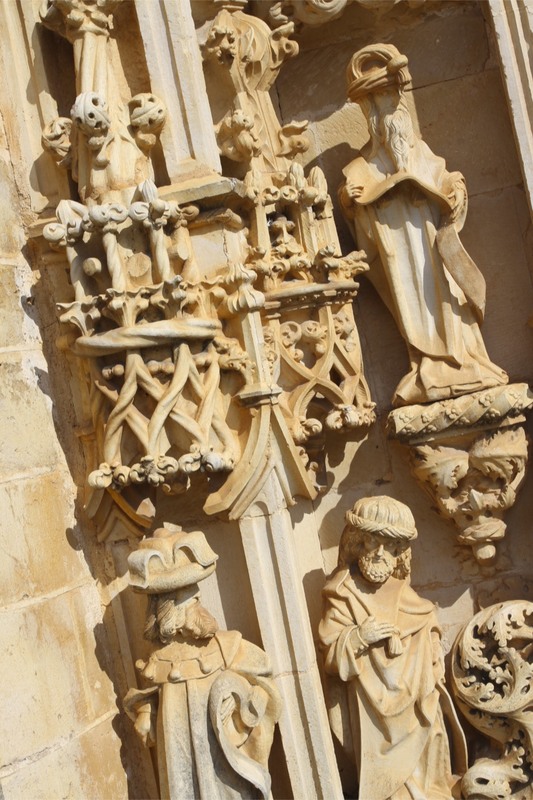 Tomar, an hour drive north east of Lisbon, was one of the great strongholds of the Knights Templar, we decided to go and see what all the fuss was about. 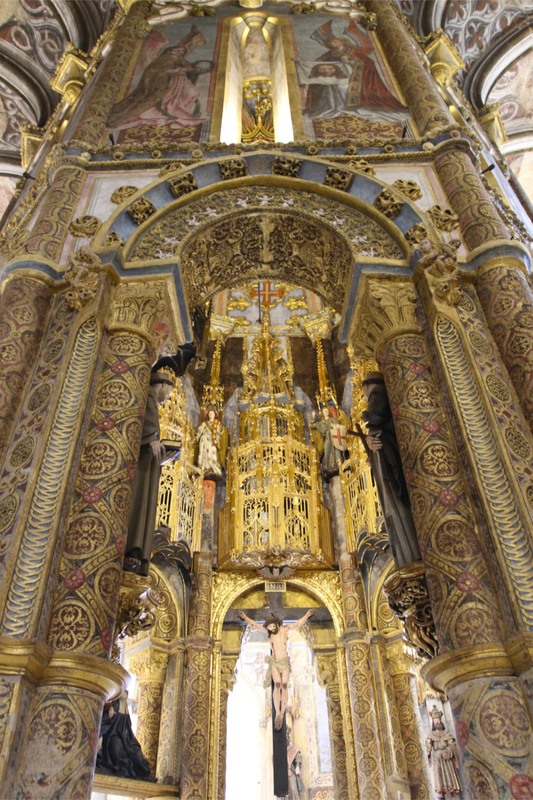 The Poor Fellow-Soldiers of Christ and of the Temple of Solomon, to give the Templars their official title, played a critical role in Portugal’s history. 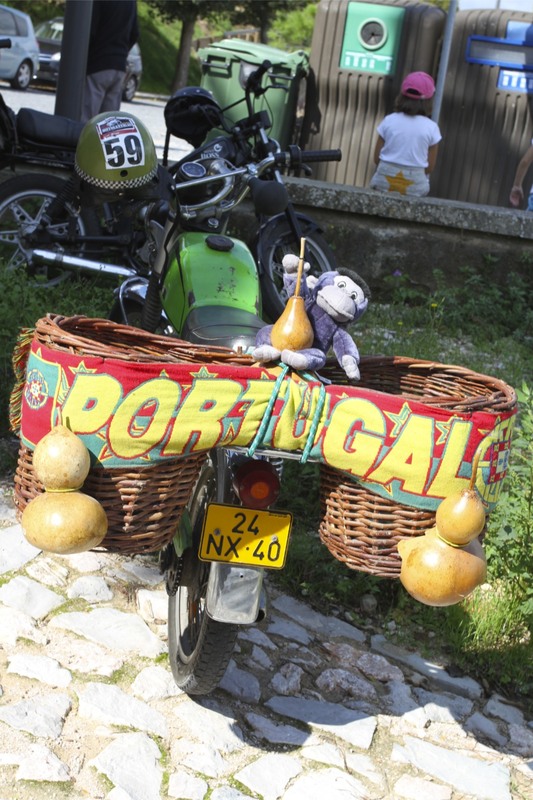 They were the shock troops of the Reconquista when Portugal was being reclaimed from the Moors in the 12th Century; later, their vast wealth would help bankroll Portugal’s maritime expansion during the Age of Discoveries. 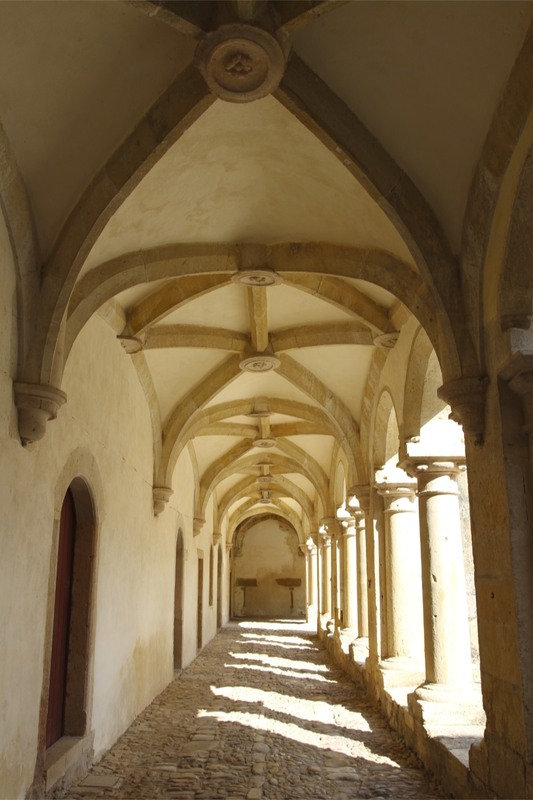 Built in 1160, the Templar fortress of the Convent of the Order of Christ or Convento de Cristo is a massive and extraordinary place. 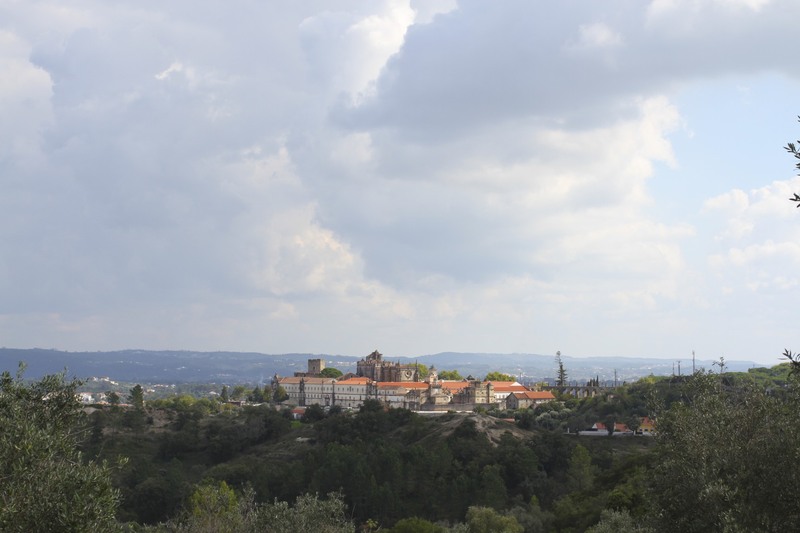 Perched high on a steep hill, the whole site is surrounded by huge defensive walls. 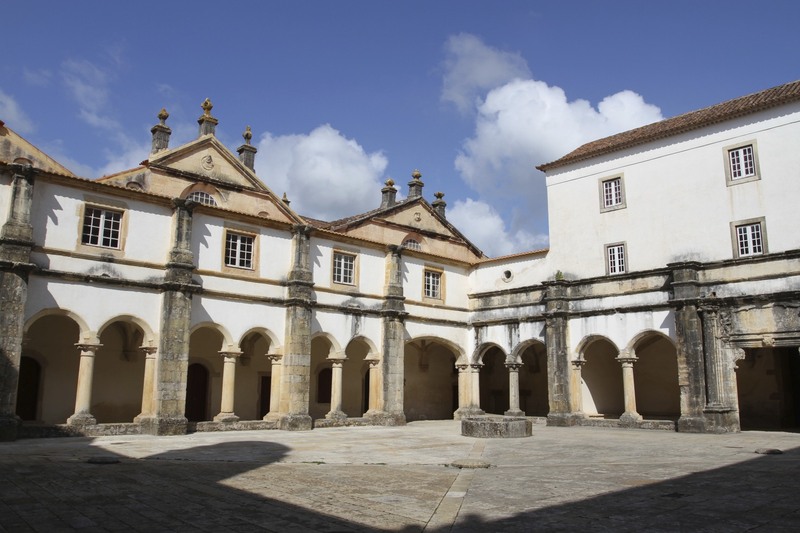 At the heart of the whole complex is the truly magnificent sixteen sided Charola, the beautifully ornate Templar church based on the Church of the Holy Sepulchre in Jerusalem. 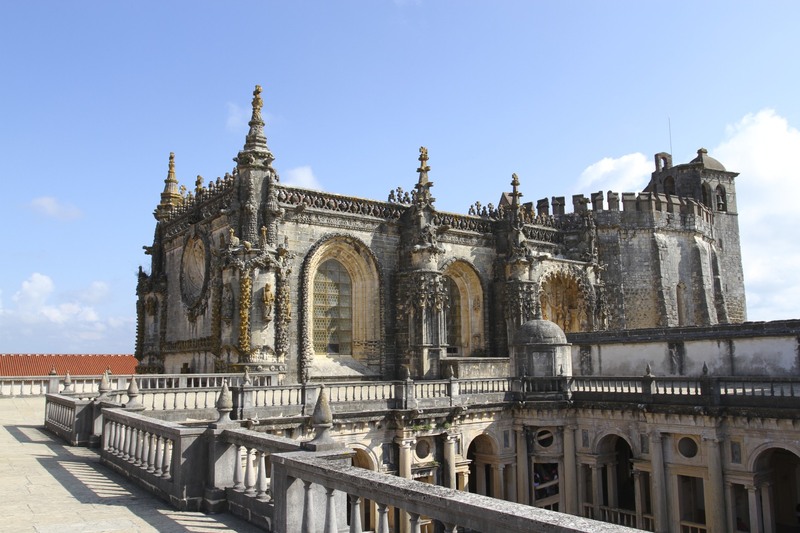 Elsewhere there are endless corridors of cloisters, roof terraces, gardens, a huge dining room and kitchens, store rooms with vast jars of cooking oil, shady quadrangles, ornate tiles and stone carvings and a wonderful aqueduct. 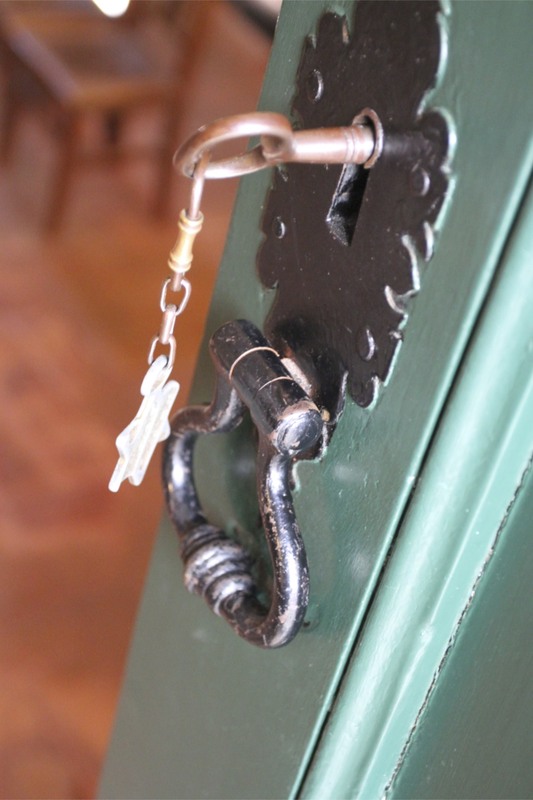 You could spend days wandering around the Convento de Cristo and still find things you hadn’t spotted previously. It is an amazing place to wander and wonder on the history that these buildings have seen. The Templars were founded in 1118 in Jerusalem. 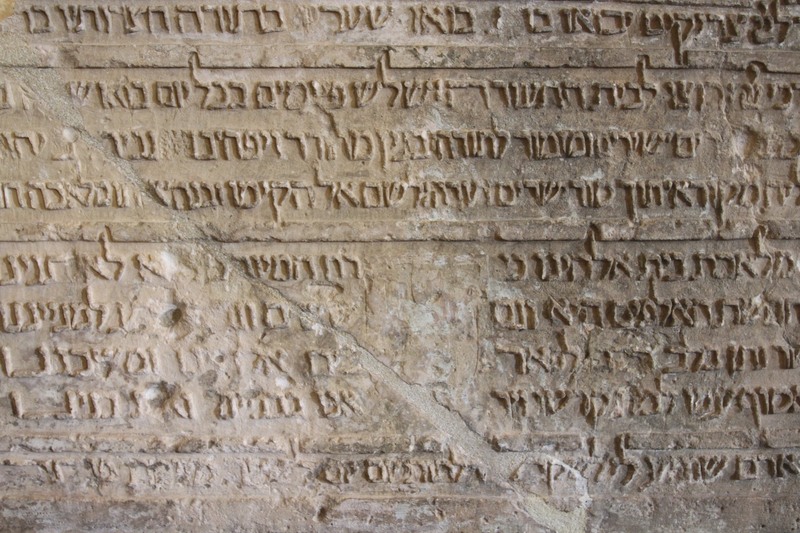 Their name derived from their rooms in the palace of King Baldwin II on the Temple Mount in what was believed to have been the Temple of Solomon. Making vows of poverty didn’t stop the Templars accumulating vast wealth and power, including owning the island of Cyprus. Soon they were wealthier than most European monarchs and increasingly viewed with suspicion and envy. When their fall came it came hard. Initiated by King Philip IV of France, and supported by the supine and cowardly Pope Clement V, numerous false charges were levelled at the Templars. 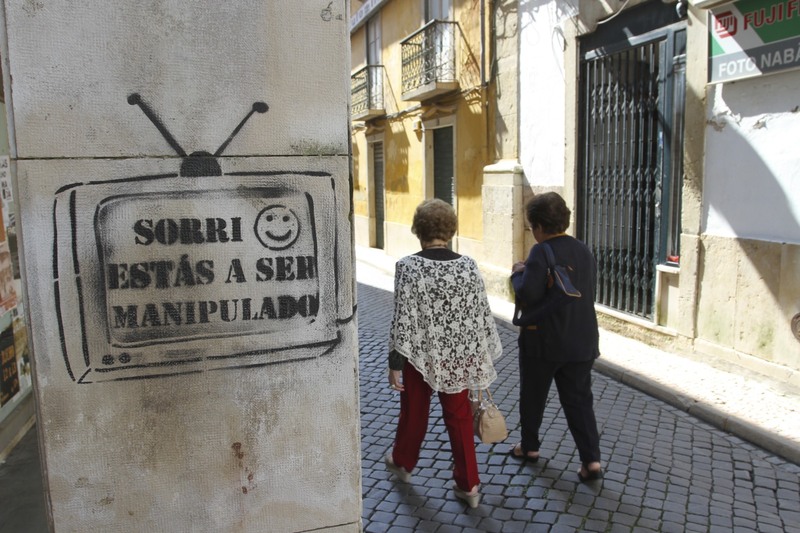 Thousands were arrested and tortured to get the confessions needed to destroy their power and appropriate their wealth. Clement V officially disbanded the Templars in 1312 but not before hundreds had been murdered on trumped up charges. 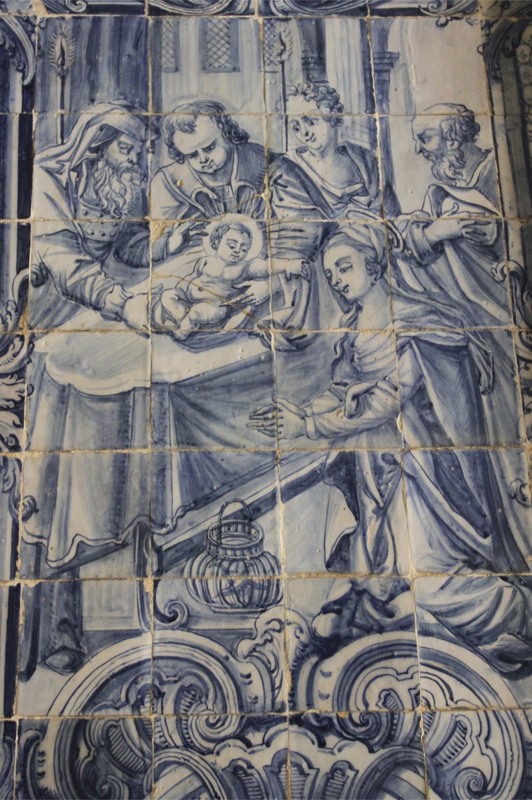 That might have been the end of the Templar tale in Portugal except that the Portuguese monarch, King Denis, cunningly reestablished them in 1317 as the Order of Christ. This time they were under royal control and the wisdom of Denis’s decision soon became clear. 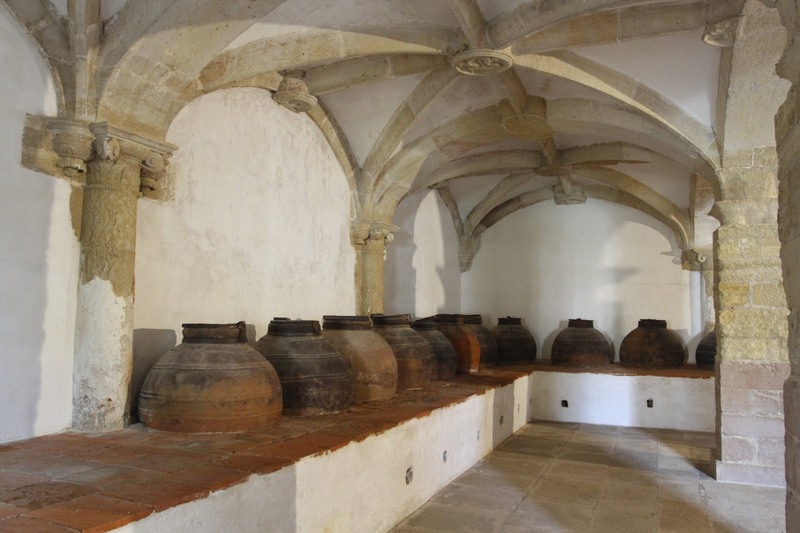 The vast wealth of the Templars was used to fund early Portuguese explorations during the reign of Henry the Navigator, giving rise to the Portuguese Golden Age. 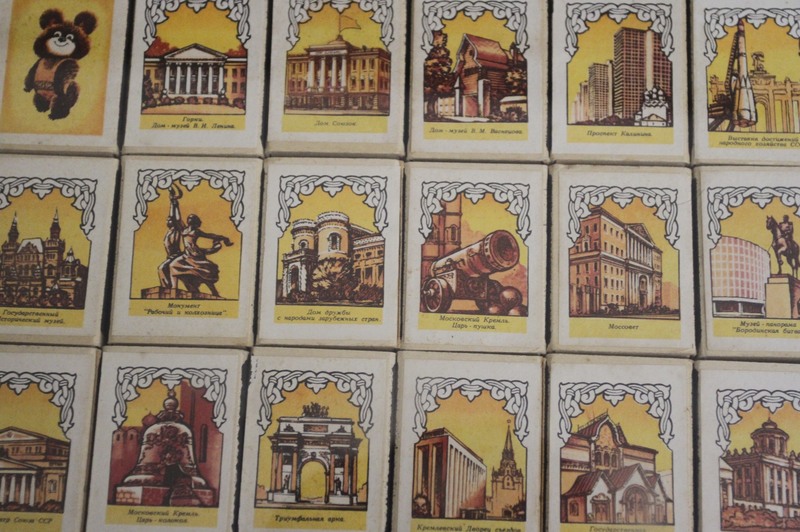 The rest, as they say, is history…and what a history.